Every day Hane Sakura makes the arduous trip to school, cycling up a large hill on her bicycle. After encountering the motorcycle enthusiast Onsa Amano one morning, she is introduced to the motorcycle club, led by the ever-silent Raimu Kawasaki. New to motorcycles, Sakura experiences firsthand the difficulty of learning to ride again. However, through this, she hopes to once again recreate her first biking experience, which was filled with both horror and exhilaration. 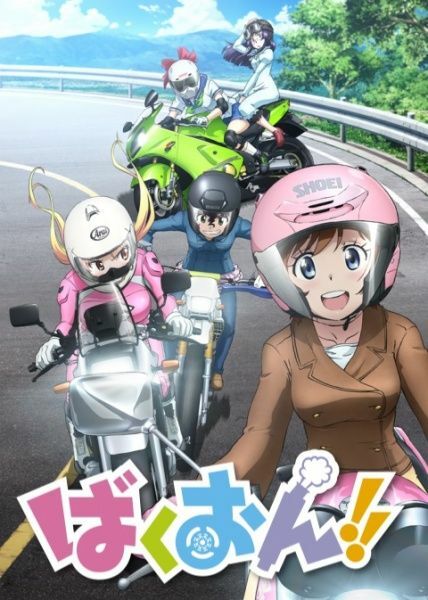 Alongside Baita, the talking motorcycle; Rin Suzunoki, a Suzuki model enthusiast; Hijiri Minowa, a wealthy girl who dreams of being a thug; and professional racer Chisame Nakano, Sakura strives toward getting her bike license and experiencing the joys and hardships of motorcycles.